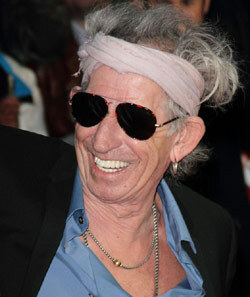 The touring life-span of the Beatles was very brief and did not make a very favorable impression on Keith Richards. Speaking with Radio Times Magazine, the Rolling Stones guitarist said, 'Musically, the Beatles had a lovely sound and great songs. But the live thing? They were never quite there.' In their defense, the limited period in which they toured was at the height of Beatlemania, when screaming girls often drowned out the sound of the band in the venues they played and on stage monitors were of little use.